Upton Sinclair, born in 1878 was a Pulitzer Prize-winning American author. He wrote over 90 books in many genres. Best known for his muckraking novel, The Jungle (available on Librivox), Sinclair also wrote adventure fiction. Many of these works were written under the pseudonym, Ensign Clark Fitch, U.S.N. 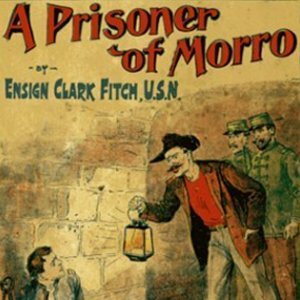 A Prisoner of Morrow, published in 1898 when Sinclair was but 20 years old, is one of these efforts. The period for this work is the ten-week Spanish–American War which occurred in 1898. Revolts against Spanish rule had been prevalent for decades in Cuba and were closely watched by Americans. The main issue of the war was Cuban independence from Spain. The war was notable for a series of one-sided American naval and military victories and led to the downfall of Spain as a colonial power. Clif Faraday, a naval cadet, is the main character in this novel. Stationed on a gunboat off the Cuban island as part of the U. S. naval blockade, Clif survives a series of confrontations at sea and treacheries on land. He is captured while on the island during a mission and lands in a Cuban prison called Morro, renowned for its cruelty. Clif receives aid from an unlikely source when all seems lost and survives to show commendable leadership and canny judgment. If you are looking for social commentary from Sinclair, this is not the book. If you want an entertaining listen reminiscent of “old-time” radio weekly serials where the hero faces dire consequences at the end of the each week’s program, then you should enjoy this story.